El Paso County, Texas, Commissioner Vincent Perez was recently named American City & County's 2016 County Leader of the Year for taking on corruption and stagnation to reform his county’s criminal justice system. At the end of 2014, the U.S. held an estimated 6,951,000 individuals behind bars, according to the U.S. Department of Justice. Around 30 percent of those individuals were held in city and county correctional facilities. On top of this, many of these individuals were legally innocent – charged with, but not convicted of, any crimes. This is a problem for El Paso County Commissioner Vincent Perez. El Paso County was spending about a quarter of its budget, approximately $71 million a year, on incarceration – a number Perez considers “astronomical.” Due to an inefficient criminal justice system, the county was hemorrhaging revenue. However, through hard work and determination in the face of adversity, Perez was able to overhaul a flawed system, making it more cost-effective and equitable for everyone involved. For these efforts, he has been honored as American City & County’s 2016 County Leader of the Year. In high school, Perez says he was fortunate to be part of a program called Community Scholars, which exposed young people to the public policy issues impacting the local community. “It was a really innovative program where they got high school students to… research the ‘hot topics’ facing the community,” says Perez. 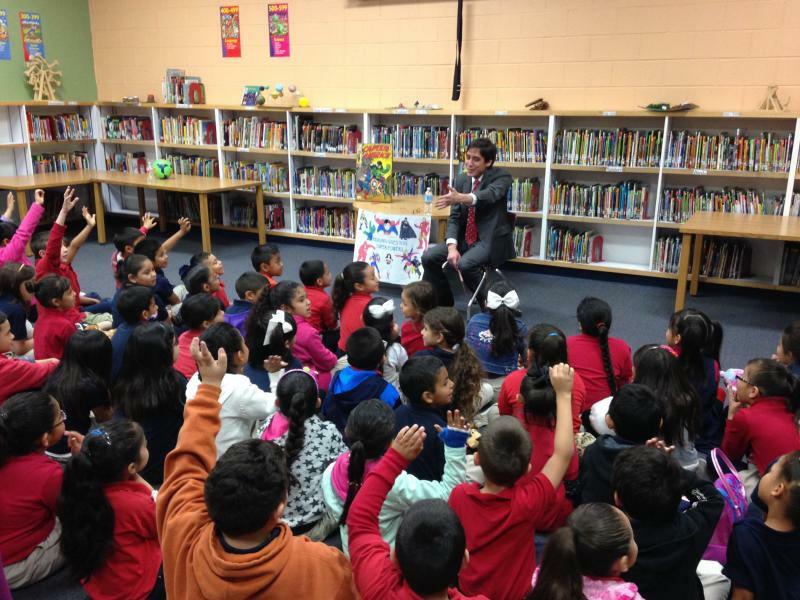 “We’d research topics and propose recommendations to the community in a public setting, and we’d also present to elected officials.” It was participation in this program, Perez says, that first got him interested in a career in government. 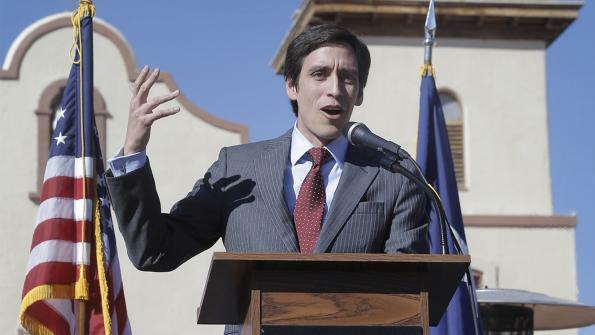 From there, Perez went on to study at Georgetown University, an opportunity that he says “changed his life.” During that time he participated in a congressional internship and later a position under a local congressman – experiences he says convinced him he wanted to work in local, rather than federal, politics. But unfortunately, not all was well at home. Perez’s predecessor pleaded guilty to engaging in drug trafficking while in office, and three of the four county judges of the County Commissioners Court were facing public corruption charges. According to Kathryn Hairston, Colonia Ombudsman for the Texas Office of the Secretary of State, that after years of scandal, the residents of precinct three were absolutely fed up. The time was ripe for change. Although the job in Washington was secure, Perez felt an obligation to take a risk and return home to help his disenfranchised, disillusioned community. Their trust was broken, and they felt misrepresented by their leaders. However, establishing himself as a newcomer in the county government wasn’t easy. With the help of his then-friend and now-staffer, Jose Landeros, Perez launched a grassroots campaign to change that. But running against a candidate with far more name recognition – a state representative with a decade of experience under his belt – was no easy task, especially for someone so new to the political arena. 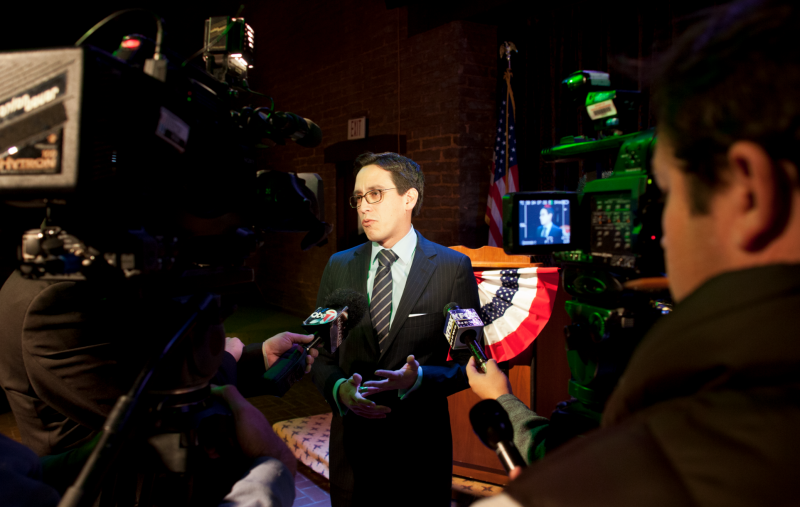 “We’d never run campaigns before; we’d never been involved in campaigns before,” says Perez. 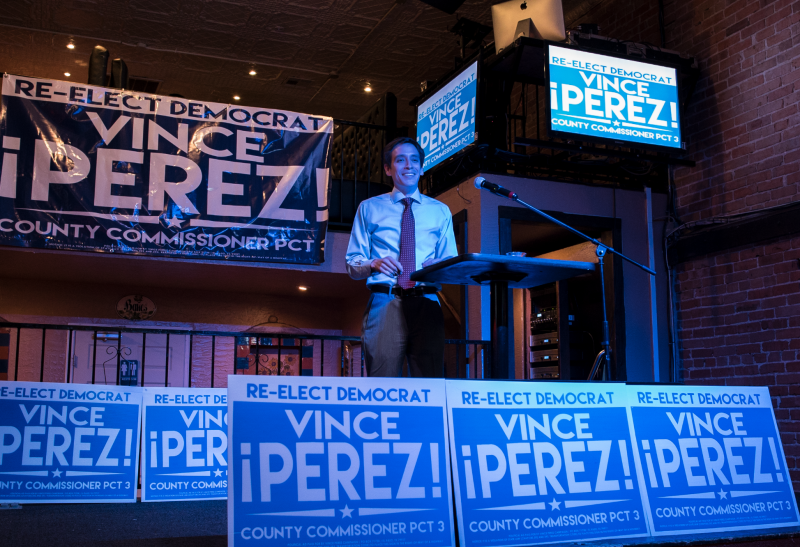 “It was really just the two of us at the beginning.” Playing on the community’s desire to see change in its leadership, Perez framed his campaign around that message, and took to the streets. 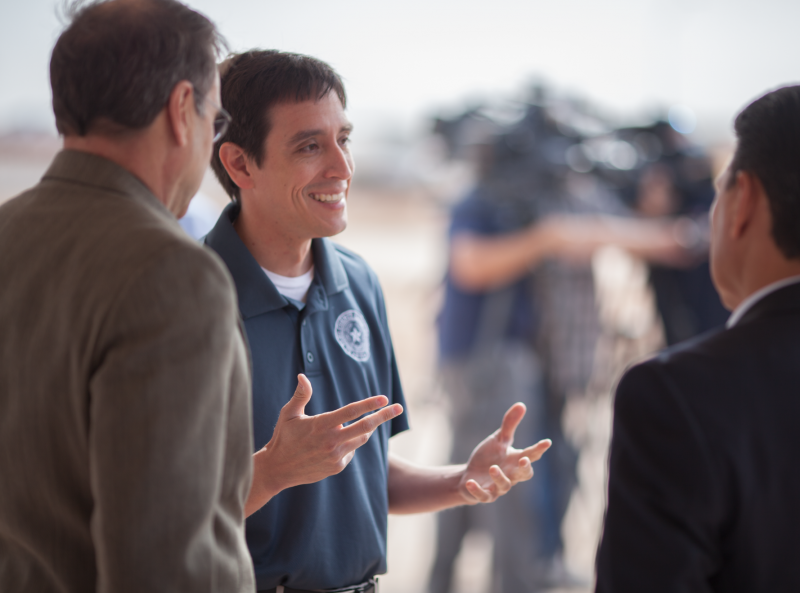 After taking office, Perez noticed one of the main problems El Paso faced was a lack of judicial oversight and accountability. Budgets were seemingly rubber-stamped, and some elected officials didn’t seem interested in anything that would upset the status quo. Perez was told that the extra funding was needed due to an increase in the number of cases; but data wasn’t made available to back up the claim. This caused Perez to look closely at the costs of indigent defense in his county, and what he found was eye-opening. Once the problem was apparent, Perez called in the Texas Indigent Defense Commission, a third-party group which allocates grants and makes policy recommendations for judiciaries across the state. Perez requested that the council step in and analyze the county’s practices. The commission looked into the judicial system and drafted a list of 10 recommendations to make the workload more equitable for county attorneys and improve the quality of services for defendants. Most of these recommendations focused on the judiciary – ensuring appointments were random and within a reasonable time frame, limiting case loads and generally aligning with state standards. Oftentimes, Perez explains, defendants would have to spend a few days in jail before their first court appearance. If they didn’t have an attorney at that time, the judge would pick one for them on the spot. “That was the standard practice for decades,” Perez says, adding that because of the rushed nature, it was impossible for that individual to get the quality defense they needed. Because of this practice, many defendants simply pleaded guilty. Because they had already spent time in jail, judges would offer a “time served” – if they pleaded guilty to the charge, they were free to go. The problem, however, is that now these individuals would have a criminal record, making it very difficult for them to obtain or maintain employment. The system, Perez says, was unjust. After examining the recommendations issued by the Texas Indigent Defense Commission, Perez and his staff began looking to other communities across Texas and across the nation for guidance and best practices. One of the immediate needs the county faced, Perez says, was its lack of a functioning pre-trial department. After establishing this office, El Paso now looks extensively at every incarcerated individual’s criminal history before making a determination on their bond. Also, as part of this processes, incarcerated individuals are screened for any potential mental heath issues. If an individual is deemed mentally unsound, they are given the help they need, rather than forced through the criminal justice system, says Perez. Before establishing the pre-trial office, many poor, low-level offenders would simply languish in jail until their first appearance in court, says Perez. Now, they are individually screened and officers make informed determinations regarding what should be done. Since the establishment of the pre-trial office, the jail population in El Paso County has decreased by 20 to 25 percent. “We were averaging, on the high end, about 1,800 prisoners a day,” says Perez. “That number today is now about 1,350.” It costs about $104 a day to house an inmate, so the reduction has lead to impressive cost savings. Despite the highly contentious nature of the changes Perez was trying to make, he was able to accomplish his goal through research, communication and sheer determination, It’s for this drive and for the transformation it accomplished, Escobar feels, that Perez will be remembered. Perez explains the advice resonated with him, because too often people in government try to bite off more than they can chew, so to speak, and because of that, they lose sight of what their actual responsibilities are.